II.4.1 Pompeii. Shop. Complesso di Giulia Felice (Julia Felix) or Praedia di Giulia Felice. First excavated 1756 then re-interred. Fully re-excavated 1951. (Originally when excavated, this was numbered as Reg. II, Insula 7, no 1). 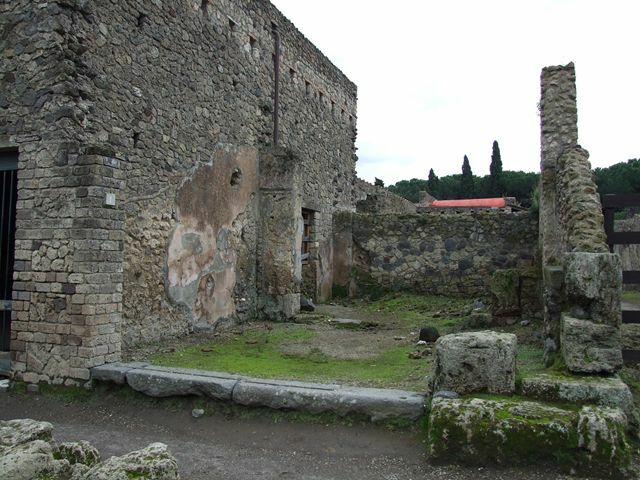 II.4.1 Pompeii. December 2004. Shop entrance, looking south to rear room. 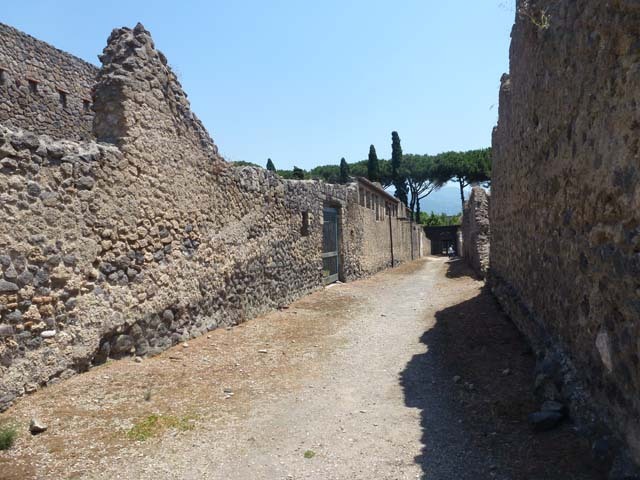 On the west side of the entrance (right of picture) were the remains of a street shrine, Ara Compitales. II.4.1 Pompeii. December 2006. East wall of shop. 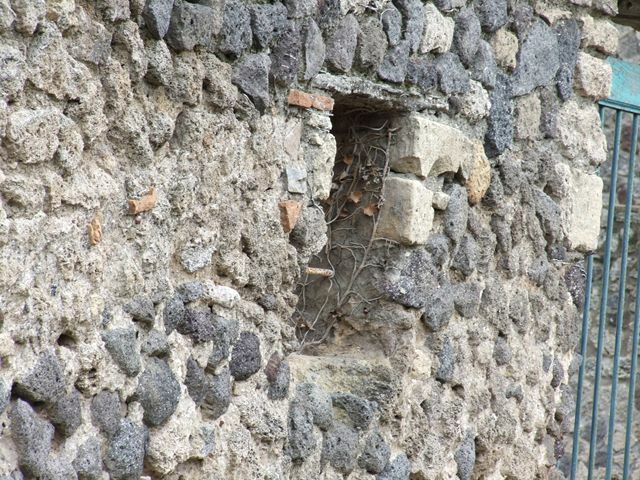 II.4.1 Pompeii. December 2006. West wall of shop, with recess. II.4.1 Pompeii. December 2006. 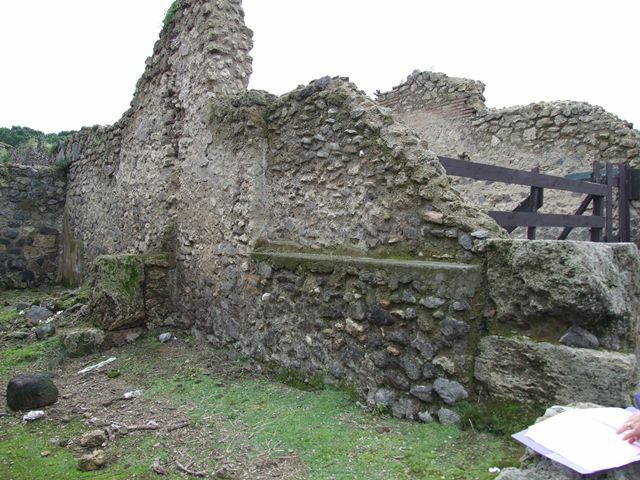 West wall with recess. 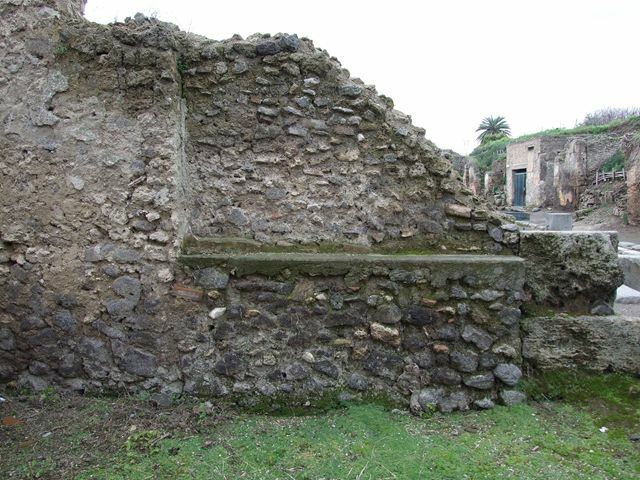 II.4.1 Pompeii. December 2006. Roadway looking south, with II.3.4, on right. 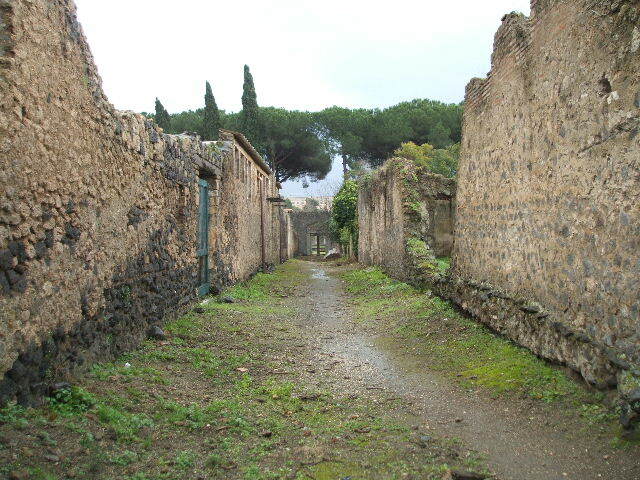 II.4.1 Pompeii, on left. June 2012. Roadway looking south towards doorway to II.4.12 (centre), with II.3.4, on right. 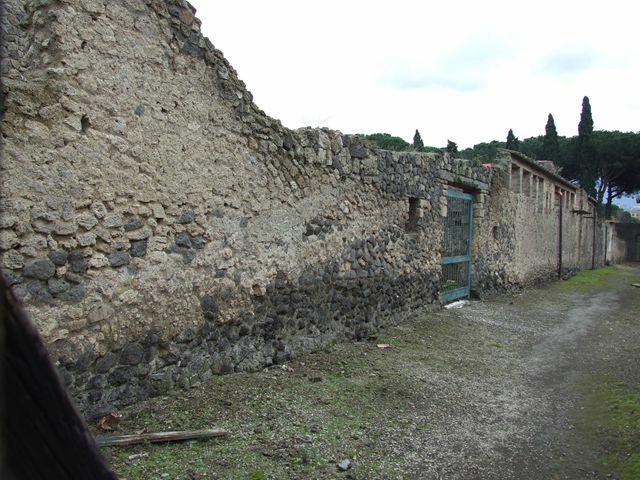 II.4.1 Pompeii, Side wall and II.4.12 entrance. Roadway looking south. 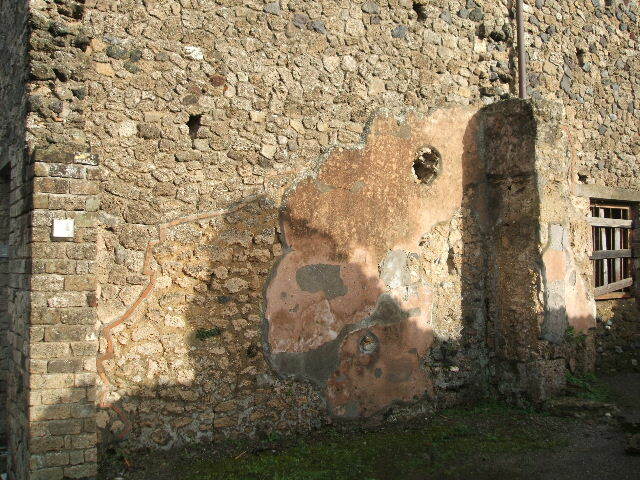 II.4.1 Pompeii. December 2006. Detail of window in side wall of shop.